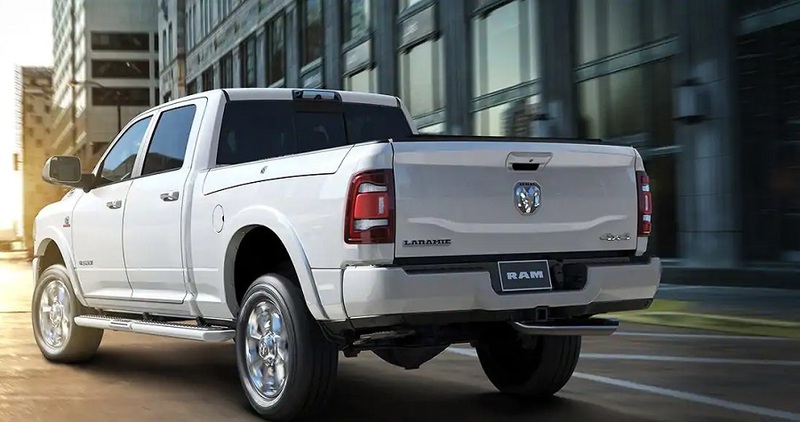 The new RAM 2500 has been redesigned both under the hood and with its exterior styling, which makes it one of the most impressive pickup trucks in its class. The car now offers industry-leading hauling and towing capabilities, causing it to be the most powerful vehicle in its class. The model is currently available at our Melloy Dodge in Albuquerque dealership as we continue serving Albuquerque Santa Fe New Mexico. The 2018 RAM 2500 offers old-fashioned power and capability with rear coil-spring suspension that provides a smooth and improved ride for drivers to enjoy. There are a slew of different models and trims that are available, along with an impressive Uconnect system in the cabin. The exterior of the new generation of the RAM 2500 features styling that looks similar to the RAM 1500. Drivers can choose between the two-door regular cab, the four-door crew, four-door "mega" cab. Two-wheel-drive comes standard, but all-wheel-drive is available for those who desire extra traction under the wheels. Plenty of ground clearance is provided, which creates a commanding presence on the road and also makes the truck capable of driving on roads where piles of dirt or snow are present. When it comes to exterior styling, the 2018 2500 features subtle design tweaks with protective skid plates, 18- or 20-inch wheels, a limited-slip rear differential, and upgraded shocks. The car features big-rig styling with plenty of bling like a flashy new grille and distinct badging. Aggressive all-terrain tires are added to create a confident exterior that is also capable of tackling steep inclines or driving on slippery roads while staying planted on the ground. Trims with four-wheel-drive include tow hooks and skid plates. LED bed lights can also be activated with the use of a remote exterior switch that is available in the cargo box. The interior of the new 2500 is upscale and regal with premium materials used on every surface. The cabin is quieter than previous models, which allows the vehicle to be used as a mobile office while driving around worksites due to various active noise-cancellation systems and special acoustic glass that is installed. The Uconnect infotainment system comes standard and features a large 12-inch configurable screen. Plenty of cubbies and storage bins are built into the cabin to prevent different items from sitting out. The spaciousness of the cabin also allows it to feel similar to an SUV and ensures adult passengers can ride comfortably in the back. 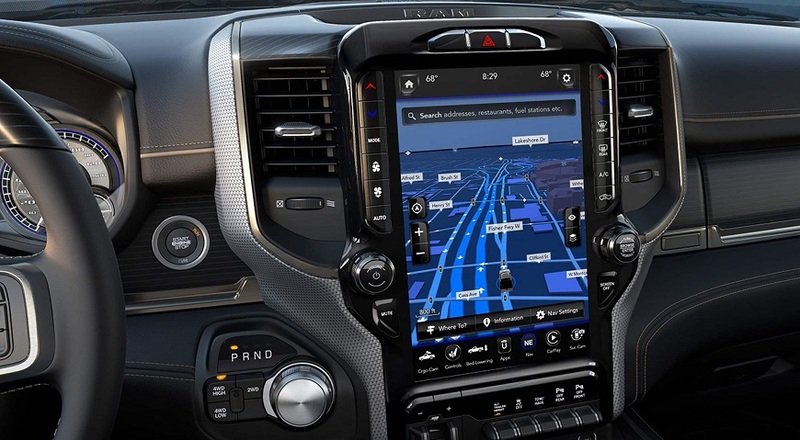 With the 2018 2500, drivers can take advantage of 8.4-inch Uconnect infotainment system, dual-zone automatic climate control, rubber floor mats, and heated front seats in the cabin. An ample amount of room is provided in the front and back row, which prevents the cabin from feeling claustrophobic. The interior setting features the nicest wood trim in its class with upscale leather used on the doors and seats. 10 cupholders are scattered throughout the cabin for added convenience. Outside noise is also muffled, but wind and tire noise can still be heard when driving on the highway, unlike the new 2500. Many different powertrains are available with the new 2019 2500 and include 10-hp, 6.4-liter gas V8 engine, 6.7-liter turbo diesel inline six-cylinder engines that are paired with a six-speed automatic transmission. With 410 horsepower, the truck accelerates quickly and doesn't have delays due to its lively and robust engines. 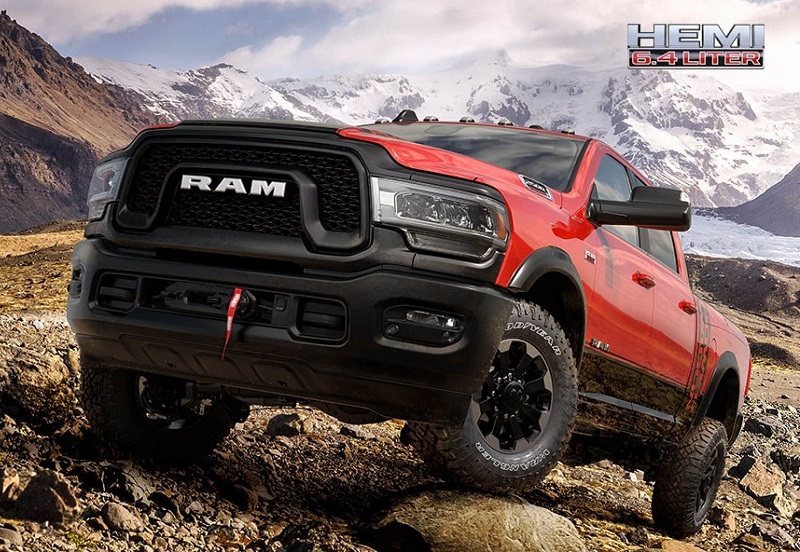 With the previous 2500 model, a 410-horsepower 6.4-liter Hemi V-8 engine comes standard, which makes it one of the fastest trucks on the highway due to its quick acceleration. It has the top torque of any other pickup truck for 2018 with 930 lb-ft available, which is close to what the new model offers. Whether merging onto a highway or zipping around town, the 2500 truck proves to be capable due to its versatility with its performance. The vehicle can tow up to 17,980 pounds, which is close to 5,000 more pounds than some of its top competitors. Many advanced safety features are available in the new 2500, which includes a 360 surround camera to improve visibility from every angle while sitting in the driver's seat. Automatic emergency braking, forward collision warning, and blind spot warning are available on every trim for improved driver confidence. A long list of safety features is included in the 2018 2500 to reduce the risk of a collision. Drivers can utilize a cab-mounted camera and rear parking sensors that are available as upgrades. More safety features are provided in the newer model of the truck. Fortunately, the vehicle performed well in crash tests that were performed by the National Highway Traffic Safety Administration, and installing car seats is easy and straightforward. 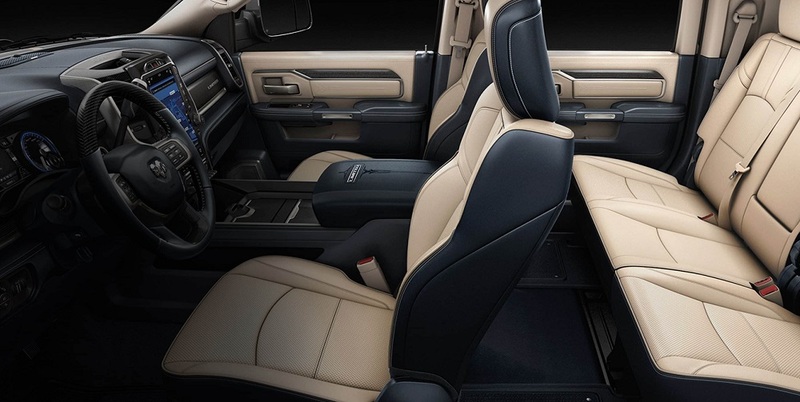 If you want to get a firsthand look at the new 2019 RAM 2500, contact or visit our dealership today to schedule a test drive of the vehicle. You can learn more information about the vehicle and current specials that are available at our Melloy Dodge in Albuquerque dealership as we continue serving Albuquerque Santa Fe New Mexico.